Headquartered in Delhi NCR, Ashok Maheshwary & Associates LLP is a leading full service accounting and tax firm in India. With offices in New Delhi, Gurgaon, Mumbai, Pune, Bangalore, Hyderabad and Singapore, the firm provides an array of services including International Tax Advisory, Business Advisory, Tax & Regulatory Compliance, Assurance, Transaction Advisory, Valuation, M&A Tax, India Entry Strategy and Transfer Pricing to a wide range of clients. The firm's clients include Fortune 1000, Fortune 500 companies, Listed Multinationals, Listed Companies, Privately held Multinationals, Funds, Investment Firms, Asset Management Companies, Exciting start-ups, Large Domestic Corporate houses, NRIs and Expatriates. The firm provides its services span India and across the globe though its close alliances with reputed firms. The firm's International Tax and Foreign Exchange Management ('FEMA') practice is led by Amit Maheshwari. Amit Maheshwari has also authored books on Expat taxation, NRI Taxation and Transfer pricing in India with Wolters Kluwer (CCH) and Lexis Nexis. The firm is known for high quality advice while maintaining excellent turnaround time. It specializes in handling complex tax advisory and structuring assignments by providing cutting edge opinions with practical insights. 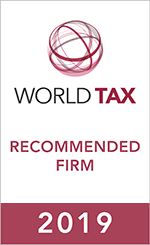 One of the differentiating services offering of the firm is that it assists the clients in managing tax controversies including representation before tax and appellate authorities, assisting in international arbitration, Mutual Agreement Procedure and arbitration under bilateral treaties. The firm, through its participation in various prestigious committees of Industry chambers, works with the government on various industry issues ranging from tax and regulatory matters to CSR activities and other policy initiatives.